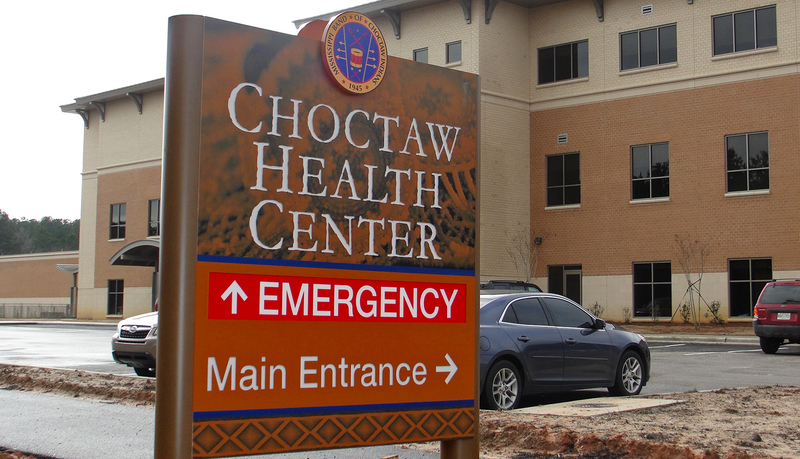 The Mississippi Band of Choctaw Indians constructed a new state-of-the-art health facility comprised of 35 outpatient procedural rooms, an emergency department, and a public health clinic. 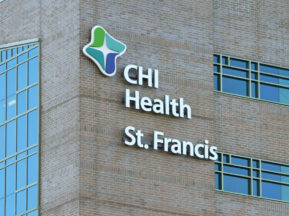 This new facility doubled the size of the existing health center. 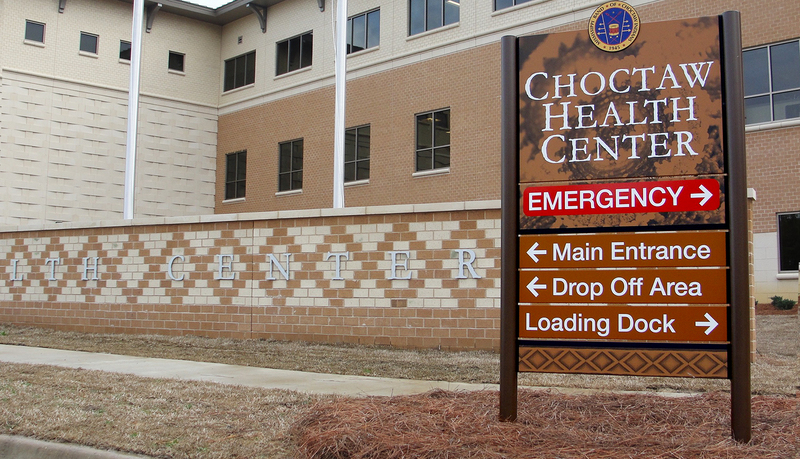 The Choctaw Health Center, located in Choctaw, Mississippi and encompassing 35,000 acres and 10,000 tribal members, is a centerpiece of the proud Choctaw people. 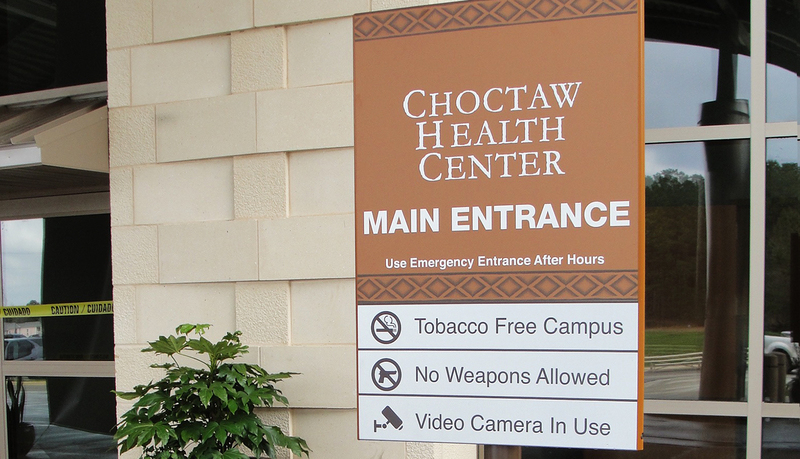 The client wanted to display the rich heritage and culture of the Choctaw Nation by using photographic, themed images throughout the signage program. 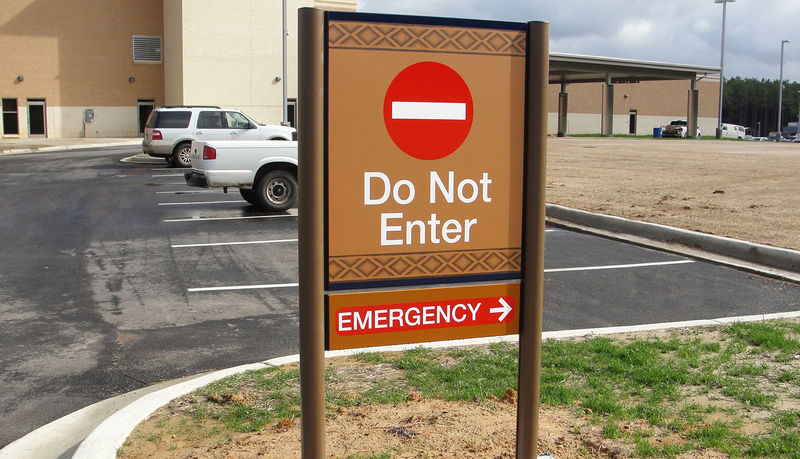 Updatability and changeability of the signs was a key requirement in developing the interior signage. 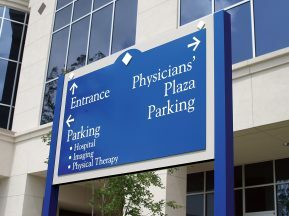 Durability of the exterior signage, specifically where the digital prints were concerned, was an additional key requirement. 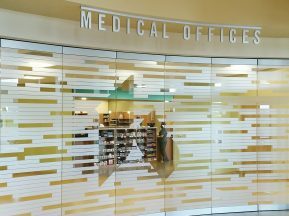 The client also wanted to maintain a consist feel throughout the facility that would encompass both the interior and exterior signage solutions. 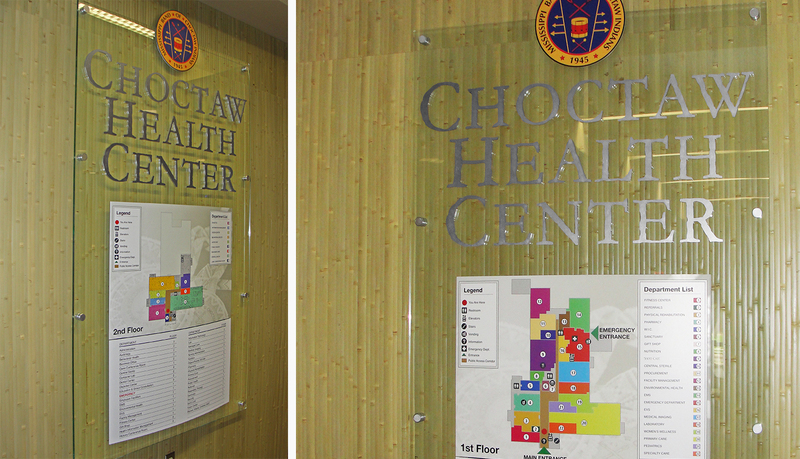 Inside the facility, all three floors were given themes representing the rich cultural heritage of the Choctaw people. 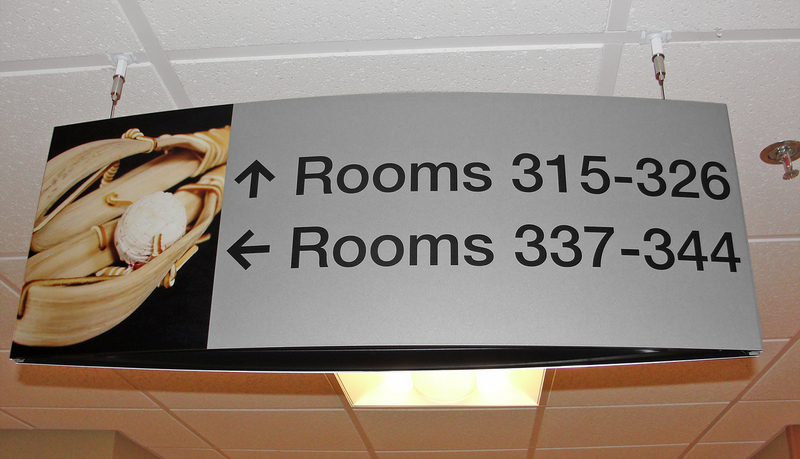 To aid in wayfinding each department was assigned different imagery to identify them uniquely within the building. 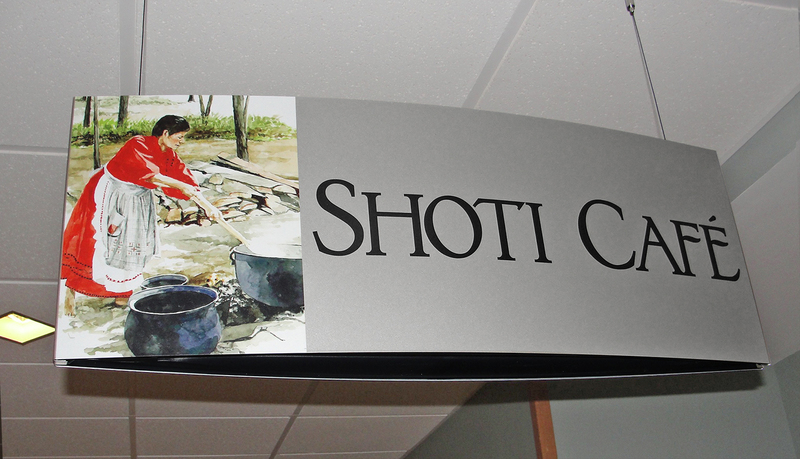 The themes included photographs of bead working, basketry, and dressmaking amongst others. 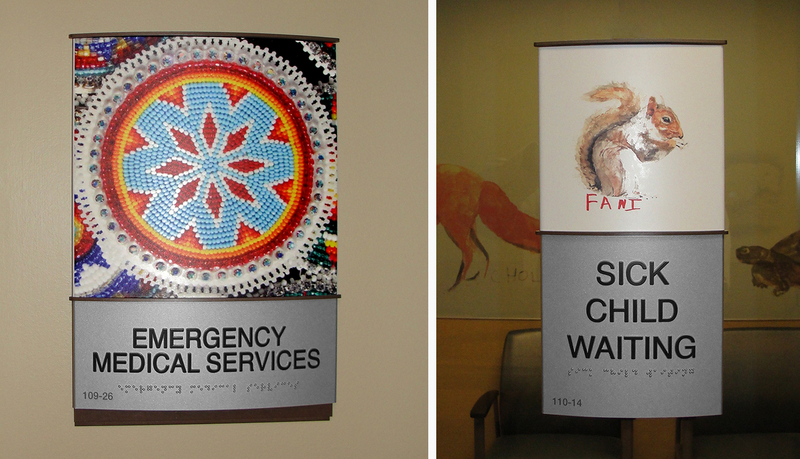 To designate and identify children’s service areas throughout the building the project architect created one-of- a-kind original watercolor artwork pieces based on these themes. 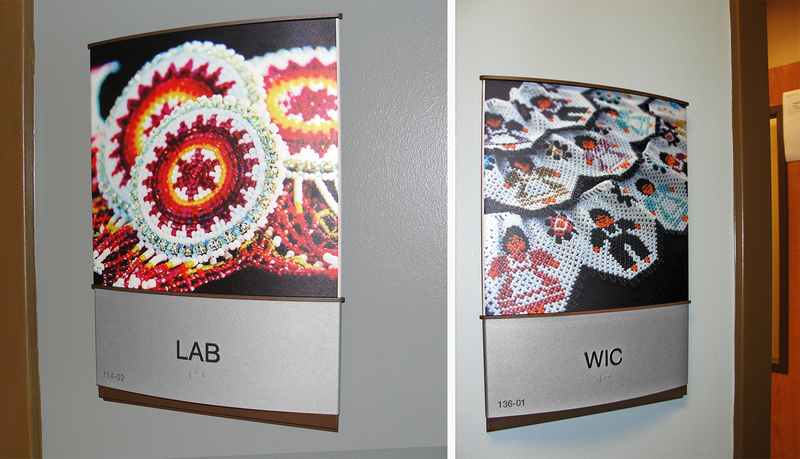 These original art pieces were directly printed onto many of the interior signs, using Print-on- Panel technology. 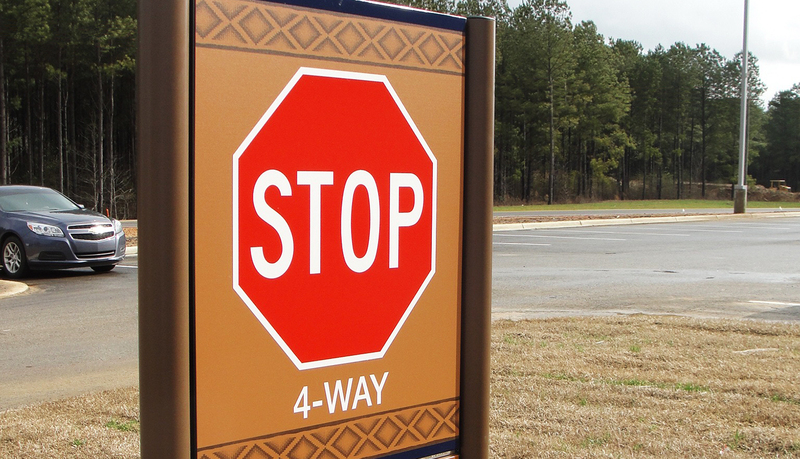 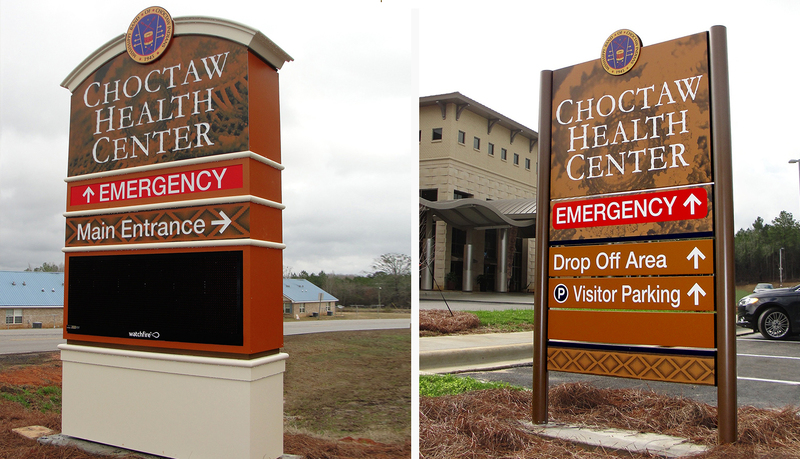 The backgrounds of the exterior signs were imprinted with the seal of the Choctaw Nation again using direct Print-on- Panel technology. 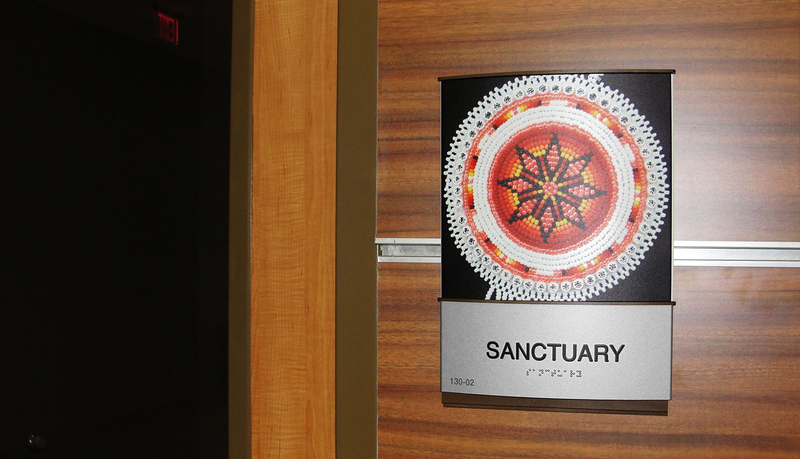 The seal was represented in a beadwork design. 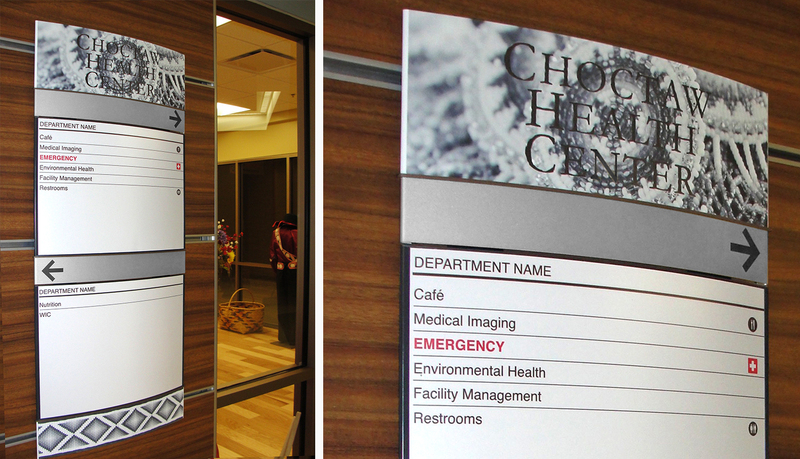 One of the challenges encountered during the project was securing high quality imagery for the Print-on- Panel designs. 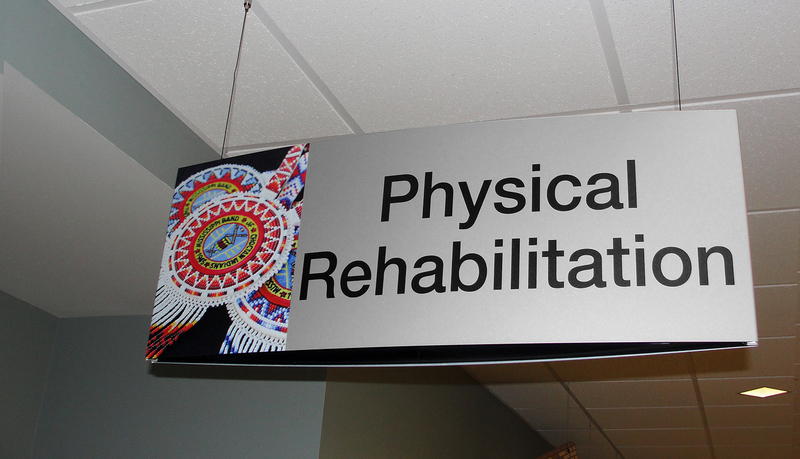 Additionally, the client and ASI were challenged with the selection of the appropriate themes for the signs. 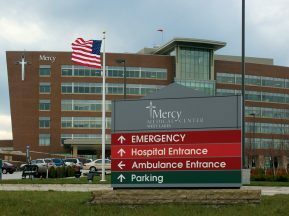 A combination of cooperation, commitment, talent and respect of all involved parties culminated with an authentic and successful project.